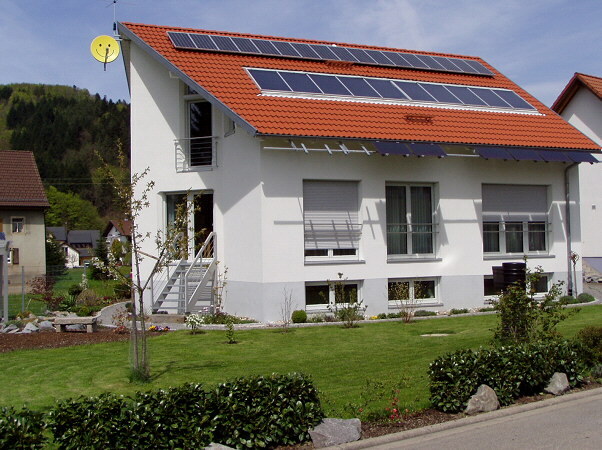 Summary The building is a newly constructed, private residence designed according to "passive house" standard. It features two PV subsystems, one with crystaline cells, one with "see-through" aSi modules by Schott Solar. The first is ystems is unique as it had been physically moved from the façade of the owners former residence (picture 1) to their new residence (picture 2). Additionally some 14 m² DHW collectors provide hot water and support to the heating system.